Hosted by Conductor, a SaaS company that provides SEO services, C3 is one of the must-attend 2018 Marketing Conferences. Mostly because it boasts an epic after party ideal for networking. C3 is tailored toward three types of marketers: SEO strategists, content marketers, and digital leaders. One of the primary focuses of the conference is teaching marketers how to organically attract customers. In 2017, C3 hosted industry leaders from LinkedIn, Content Marketing Institute, HubSpot, and National Geographic. Engage is produced by SEMpdx, a non-for-profit organization that is committed to educating Portland’s professionals about the power of SEM. Engage is going on its 12th year, however it was previously known as SearchFest. Each year, experts in digital marketing come together at this 2018 marketing conference to discuss strategies, tactics, and tech in social media, advertising, paid media, and much more. At a third of the price of other conferences ($449 for a non-members), Engage is perfect for small businesses and those on a budget. SUBCOM is one of the top 2018 marketing conferences with a goal to help those, regardless of the industry, with subscription-based commerce. Experts will go over how to successfully implement a subscription model that will increase retention, decrease spending, and drive high profit margins. SUBCOM is the perfect conference to learn everything and anything about subscription commerce. Hear from subscription commerce geniuses: Blake Orlandi, COO, Book of the Month Club, Bobby Moran, VP & GM of Politico Pro and Joey Billings, Sr. Product Manager of Hulu. Pricing for standard registration is $1,599, but if you’re a startup that is three years old or younger and makes less than $500,000 in revenue you can go for $200 less. Search Marketing Expo is one of the top 2018 marketing conferences for those who are obsessed with SEO and SEM. SMX West is the younger brother to SMX Advanced, which is made for those who are already experts in the field. Here, professionals at all levels can attend. They offer a “Beginner’s Boot Camp” for those just starting out, and higher-level sessions for those who are bit more experienced. Notable brands that have attended in the past include: Microsoft, Netflix, NBC Universal, and Coca-Cola. SMX will also hold an international event in Munich, Germany on March 20-21, 2018. The Adobe Summit is a2018 marketing conference that offers over 200 sessions over six content tracks. Attendees have the option to cross tracks and build their perfect schedule. The tracks included are: analytics, content & experience management, email & omni-channel marketing, personalization, advertising, and marketing innovations. Early bird pricing starts at $1,494, and will jump up to $1,895 after January 21, 2018. Advertising Week Europe hosts media, marketing, and technology leaders as they discuss trends and issues currently in the industry. The 2018 marketing conference has over 175 seminars and workshops all hosted by influential leaders. In addition to the all-star sessions, AW is ultimately focused on promoting a care-free environment for networking. Daily breakfast panels, culture and commerce lunch, and concerts allow guests to connect with influential leaders in the industry while having fun. Produced by the Content Marketing Institute, the Intelligent Content Conference is a 2018 marketing conference specifically made for marketing professionals that wish to fine-tune their content skills. Whether you’re just starting out with content creation, or looking to optimize your current content, ICC is the event for you. They go over everything you’ll need to have an effective content strategy. Past speakers include thought leaders from Zillow, LinkedIn, and 3M. SearchLove is an action-packed, two-day marketing conference guaranteed to have you leaving an expert in digital marketing. Everything from analytics to content creation is covered. SearchLove offers sessions and networking events with top-rated speakers like Rand Fishkin, Larry Kim, and Will Critchlow. For only $1,299, your ticket includes the conference and admission to VIP dinners where you’re free to wine and dine with some of the most notable digital marketing speakers. Brought to you by CXL, an online source for optimization with training courses and an optimization agency that can help your business grow online, the CXL Live 2018 marketing conference boasts “expert only” speakers. CXL live is focused on a peer-to-peer learning atmosphere, with only the best of the best teaching attendees. Come together with the leading experts in UX, digital marketing, digital analysts, and optimizers. The cost is relatively cheap, $1,399 for an all-inclusive ticket. The Salesgasm’s Intrigue Summit in L.A. and London gathers in-house marketers to connect and learn digital marketing strategies. One of the top2018 marketing conferences, this event features speakers on branding, content marketing, video marketing, SEO, and advertising. Get hands on experience with the latest products and services within the industry all while networking. The Napa Summit is perfect for digital marketers at all levels, however, it’s an extremely exclusive event with only 200 available seats. Top-level companies like Disney and WebMD are in attendance. It is a must-go for any SEO/SEM professional who wishes to gain insight into the tools and skills required for successful digital marketing. The NAB Show creates a marketplace where media, entertainment, and technology all converge. Learn about the evolving media landscape and the latest and greatest platforms. Content creators and storytellers show attendees the latest and greatest from the immersive world of VR and AR. 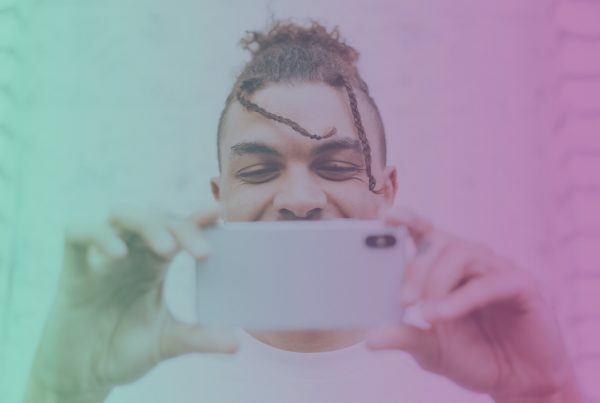 The show offers nine tracks: film, mobile, advertising, television, radio, live events, audio, AR/VR, and video, and aims at shows how all of them can go hand in hand. Come experience what the NAB Show calls, The M.E.T Effect, and see the future of the industry. 4A’s Accelerate (formerly 4A’s Transformation) brings experts in data, technology, marketing, media, and business together at for a two-day event. Notable keynote speakers at last year’s transformation 2017 included: Ben Silvermann, Co-founder & CEO, Pinterest, Devika Bulchandani, President, McCann XBC & Managing Director, McCann, and Jason White, EVP, Head of Marketing Beats by Dr. Dre. Join this 100 year old company for an opportunity to discuss and network with those in the industry. Marketing United is one of the top 2018 marketing conferences that brings digital marketers from all around the globe to connect, share, and learn from some of the greatest minds in marketing. Speakers last year included the co-founder of Netflix and an original storyteller at Pixar. 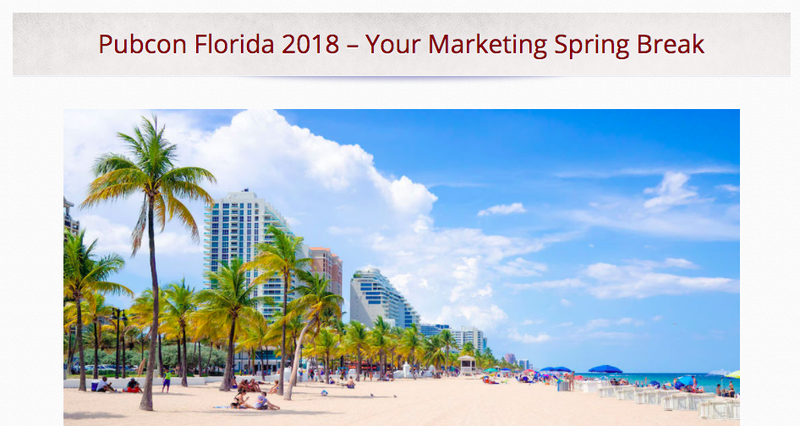 PubCon is a pair of top 2018 marketing conferences in Fort Lauderdale and Las Vegas put together by a tech organization that produces trade shows and conferences. PubCon typically host three conferences around the US— east, west, and south conventions. The conference focuses primarily on internet marketing and SEO. Attendees can learn best practices for mobile, video, Google Analytics, and social media advertising. Anybody who’s anybody in PPC will be at this one of the 2018 marketing conferences. So, if you define yourself as a PPC marketer, this is the conference for you. HeroConf hosts the Learn the latest trends and tactics that every PPC marketer should know, from the best and brightest in PPC. Whether you’re seasoned in PPC or just dipping your toes in it, HeroConf will have a range of training programs available. Speakers this year will include LinkedIn Ads Evangelist, AJ Wilcox and Michael Akkerman who’s Head of Marketing Partners at Pinterest. 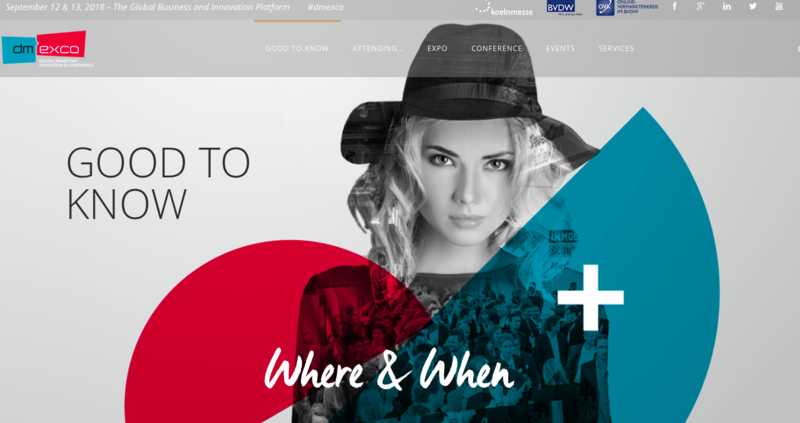 The biggest names and brands in PPC, CRO, and social advertising will be attending. Orlando, FL, New York, NY, Toronto, ON, Houston, TX, Chicago, IL, London, UK, Los Angeles, CA, Sydney, AU, Singapore, and Online. (Respectively) Late April 2018, May 2018, May 2018, June 2018, June 2018, June 2018, June 2018, August 2018, September 2018, November 2018. Digimarcon is one of your go-to 2018 marketing conferences for everything digital marketing. The conference goes over content strategy, social media, mobile marketing, branded search, and much more. Marketing leaders share best practices, tips, and innovative tech. Hashtags: #DigiMarCon, #DigiMarCruise, #DigiMarConEast, #DigiMarConCanada, #DigiMarConWest, #DigiMarConAPAC, #DigiMarWorld. Unbounce is a landing page platform that allows you to easily create CTAs and convertibles. The platform is easy to use with little to no knowledge of coding needed. Each year Unbounce gathers the leading marketers at one of the top 2018 marketing conferences to discuss topics like conversion optimization, email marketing, content marketing and more. They boast that, unlike other marketing conferences, the information you learn has little “fluff” and can be implemented the next day. Early bird costs are $599. Interactions 2018 is a customer-focused 2018 marketing conference created to get businesses to switch to a customer-centric model. The conference is hosted by Nice inContact, a Contact Center as a Service (CCaaS) company that offers a complete CX application. Experts in CX and customers of Nice inContact will discuss topics like: customer experience strategies, automation, AI, and employee productivity and motivation. Experiential Marketing Summit is THE 2018 marketing conference for experiential marketing. Leaders in some of the most influential brands and companies are in attendance, and most of them are actually your teachers. EMS trainers go over emerging trends, case studies, and best practices. Companies from A to Z are in attendance so you’re bound to mingle with some of the best and brightest. Masterpass are $2,045 for brand/agency, $3,250 for supplier. All Access Passes are anywhere between $1,330-$3,000 depending on the amount of days and whether you’re a supplier or brand/agency. Next10x is the go-to one of the iteration of the top 2018 marketing conferences for everything mobile marketing. The one day conference focuses on new emerging technologies, how to be successful in the current digital marketing landscape, and how AI is modifying the marketing world. The conference is fairly new, it’s celebrating its second year in 2018, and has hosted some pretty notable speakers: Cindy Krum, Eric Enge, and Gary Illyes. The Marketing Nation Summit, hosted by Marketo, aims to educate attendees on the digital transformation of marketing, advertising, and IT. One of the top 2018 marketing conferences, this event features networking oppotunities with expo leaders, partners, and peers. Last year participants enjoyed workshops with thought leaders like Arianna Huffington and Hillary Clinton. Marketo is a marketing automation software company that offers businesses a one-stop-shop for all things digital marketing. Search marketers from around the world come together to network and discuss search advancements. This year, AI and machine learning will take a front seat at this one of the 2018 marketing conferences. Experts will show the benefits that come with these advancements and reveal best practices on creating a more personalized customer experience. MediaPost Search Insider Summit offer marketers the latest tactics and case studies that marketers and apply to their marketing strategies. Top brands like Samsung, The Home Depot, and Uber have all been confirmed guest speakers. Made for senior-level corporate professionals, the Social Media Strategies Summit is one of the 2018 marketing conferences that gives attendees everything an in-house practitioner needs to know. Learn essential practices and tips from social media marketing masters. 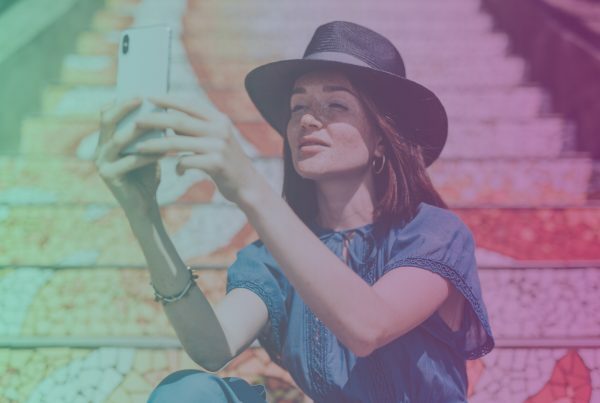 Refine your social media skills with access to the latest tools and technologies, case studies that’ll keep you up-to-date with the latest trends, and connect with influencers, leaders, and agencies. The MarTech Expo is hosted by chiefmartec.com, a blog ran by Scott Brinker. The 2018 marketing conference is centered around demonstrating the power of marrying both marketing and technology – MarTech – and how it can help drive change. Leaders in companies like IBM, JP Morgan, and Spotify host sessions and workshops on the success of integrating a MarTech approach. Business & Legal Resources (BLR) helps businesses stay compliant with state and federal requirements. BLR offers training programs, events, and subscription services to give businesses the best tools. The Marketing Summits are directed toward VP’s, CMO’s, and other senior-level marketing professionals. It is one of the only complimentary 2018 marketing conferences, with a one-on-one session format. For this years Programmatic Summit, Digiday is focusing on how brands can combat the ever-controlling platform world that we live in today. Senior-level leaders at brands like Hello Fresh, Boxed, Johnson & Johnson, and McDonald’s will be hosting discussions to help today’s marketers and advertisers understand the new world. GartnerDMC is one of the top 2018 marketing conferences specifically for senior-level marketers. This is where they learn the latest trends, tools, and technologies to help elevate their marketing game. Last year, hot topics included: data-driven CX & marketing, ad strategy, multichannel marketing, and content marketing. Right now early bird pricing is $2,675 and is expected to rise to $3,025 in November. Hosted by Loyalty 360, a customer centric loyalty membership program, Loyalty Expo is a must for those looking to build positive customer relationships through loyalty programs. 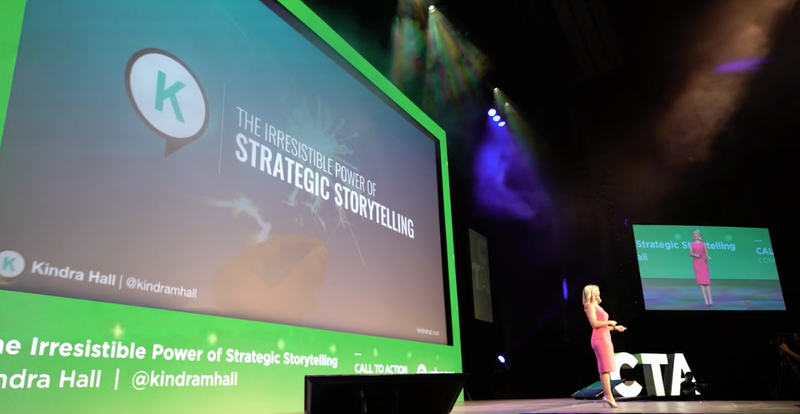 This one of the 2018 marketing conferences arms you with everything you’ll need to implement a more customer centric model. Need help starting out? Services that help with the implementation process will be available. Of all the 2018 marketing conferences, SMX Advanced is THE conference for experts in SEM and SEO. Designed for a seasoned search marketer in mind, SMX won’t waste your time going over the basis, instead they dive head first into all the latest in SEM and SEO tactics. The conference is produced by Search Engine Land and Marketing Land, which are publications that cover the different aspects of marketing. Moz is a SaaS company that offers an all-in-one website SEO toolset. At MozCon, experts in the industry gather to discuss everything SEO related, most importantly, the future of ranking in search results. Get the opportunity to connect with industry leaders, and their robot, Roger, at this edition of the top 2018 marketing conferences. CMWorld is an event put on by the Content Marketing Institute. CMI is one of the more well-known top 2018 marketing conferences and is a source for anything, and everything content marketing. 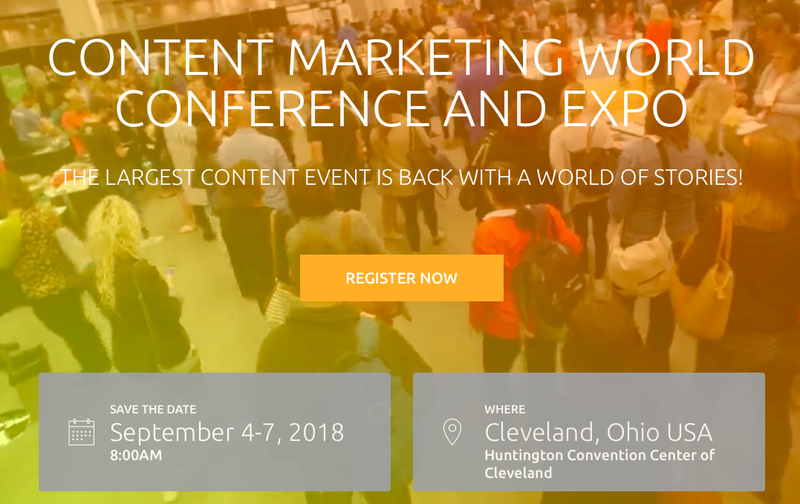 This is perhaps the biggest content marketing event in the U.S. CMWorld brings over 3,600 marketers from around the world and offers participants over 120 sessions and workshops with renowned marketing leaders. Marketing experts like Lee Odden, Ann Handley, and Jay Baer were in attendance last year. INBOUND brings together thousands of professionals from different industries to connect and educate attendees on everything inbound marketing. Inbound hosts an impressive list of feature speakers. This year’s speakers included Former First Lady Michelle Obama, and President & Co-Founder of Pixar, Dr.Ed Catmull. Prices for INBOUND range from $299 to $1,399. Digital Marketing Expo & Conference (DMEXCO) gives attendees from around the globe the opportunity to network with major brands and agencies. The conference brings over 570 international speakers, 250 plus hours of programs, and 57% national speakers. Brands like Facebook, P&G, Unilever, Johnson & Johnson, IKEA, and BMW had speakers at last year’s conference. Brand Managed Camp is produced by ManageCamp Inc., a company that’s committed to building strong brands through fresh thinking. The conference is an upbeat, energized three day training with the best of the best. Experts discuss topics on tried and true strategies and tactics that’ll help boost your brand. Last year, program costs started at $1999. Dreamforce is all about training and inspiring attendees with over 2,7000 sessions. 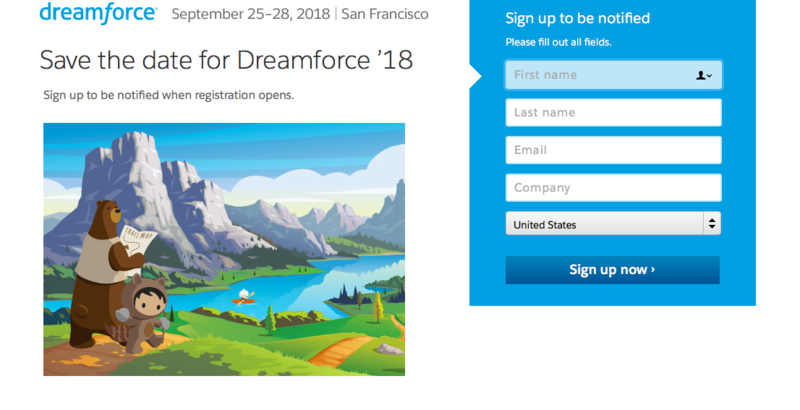 Being one of the largest software conferences, Dreamforce, offers over 18 industry specialities and will even create the perfect schedule for you based on your interests. Michelle Obama, Ashton Kutcher, and Jenna Bush Hager are this years keynote speakers. Dreamforce doesn’t only host some of the biggest names in the industry but also in music. 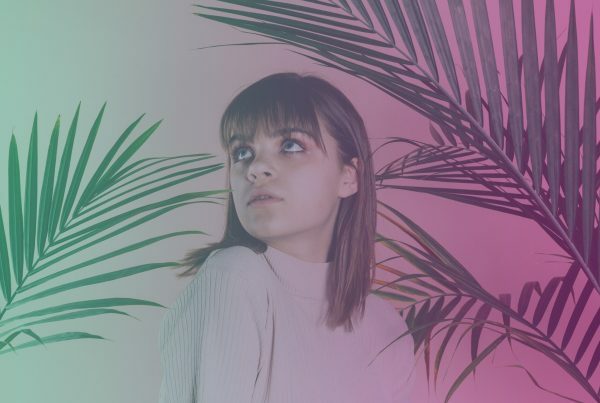 In the past, bands like Green Day, U2, and Stevie Wonder have performed on stage. This year attendees can expect Alicia Keys and Lenny Kravitz. Inc. 5000 brings top-level entrepreneurs like Daymond John, Alan Mulally, and Sarah Kauss for an information-packed three days. Learn from the best and gain insight into navigating the business world. On top off the all-star speakers, the conference offers a welcome reception, a black-tie gala, and a golfing tournament to maximize networking. Pricing starts at $1,395 for an individual or $11,950 for a 10 member team. For those who love data analytics, this one’s for you. 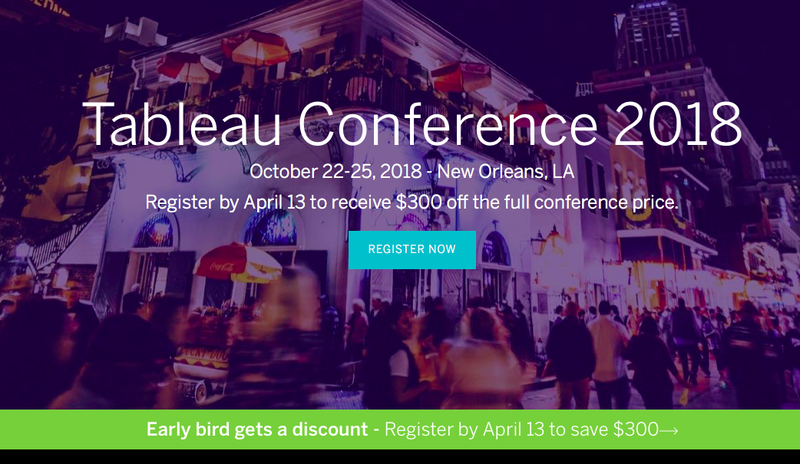 Tableau conference is a four day event that hosts those who are truly passionate about data and everything it has to offer. With over 400 sessions, keynotes, hands-on training, and breakouts, you’ll be walking out a data expert. Ticket prices are $1,595 but Government, Education, and Nonprofits get $500 off. LavaCon is a content strategy conference with over 80 sessions geared toward content strategies, managers, and creators. Want to learn from some of the greatest content professionals that work for Adobe, Amazon, Microsoft, and Spotify? Then LavaCon is a must. The Web Summit boasts an incredible list of speakers which include: Al Gore, Steve Huffman, CEO, Reddit, Antonio Guterres, Secretary General, United Nations, and Mark Hurd, CEO, Oracle. CEO’s and presidents of Intel, Tinder, Slack, booking.com, and Microsoft will be gracing the stage at this years summit as well. The summit hosts over 160 countries and 2,200 journalists. With over 25 conferences taking place within the summit, attendees are sure to find their niche. IHAFourm is a professional association for in-house agencies. 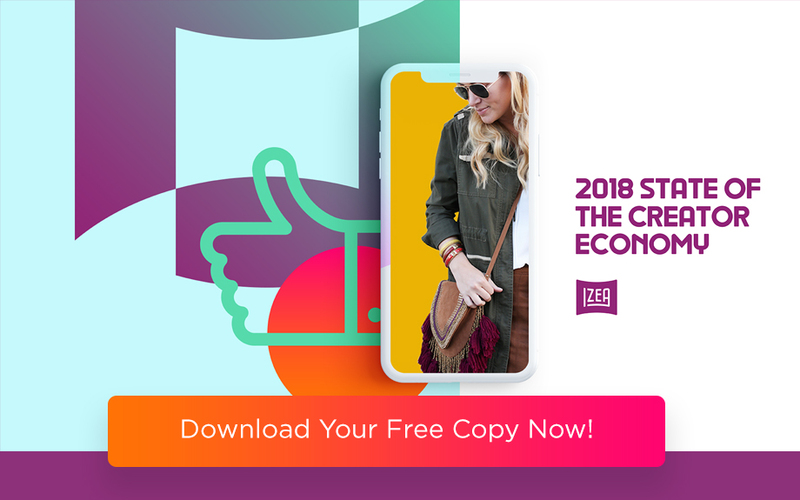 The conference, Brand New, takes a look at how top brands are able to connect with customers and beat out competitors . Attendees enjoy keynotes, brand breakouts, networking events, and of course their annual award show. Dena Blevins, Creative Director, Global Promotions & Brand, Starbucks will be a keynote speaker. Another notable speaker is Simon Mainwaring, CEO, We First Inc.
All-Access passes are $995, this includes VIP gift, full day workshop on November 13, and other perks. The MarketingProfs B2B Marketing Forum pass includes the full conference program for only $795. Learn about the latest in B2B marketing and hear from successful B2B marketers. MarketingProfs is an online source that provides training materials, articles, strategies, and seminars to marketers. The Big Data & Analytics Summit is interested in showing marketers that embracing big data might just be their answers to increase performance in their campaigns. The 2017 speakers include, the director of marketing for FIU, and Equifax’s vp of data science. Pricing starts at $995 for one day and goes to $2495 for an all-access three days. Growth Marketing Conference is a must-attend for startups. At the conference you’ll rub shoulders with some of the most successful executives at fortune 500 companies and startups. Industry leaders share tried and true methods for pushing your company’s growth while, teaching you techniques that’ll keep that upward trend going for years. Rand Fishkin of Moz and Neil Patel are typically in attendance. Prices start at $350 for half-day passes. B2B Marketing Exchange hosts the leaders in content, demand generation and sales. B2BMX is your one-stop-shop for creating killer content. At B2BMX you’ll learn, tools and tactics for creating effective content, a look inside the best content marketing from B2B companies, and marketing blueprints for the different stages of the sales funnel. Only $1495 gets you an all-access pass. 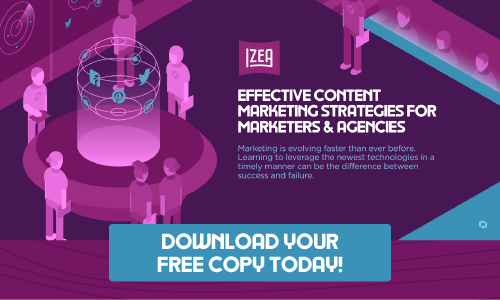 Want to learn the ins and outs of Content Marketing Strategy?